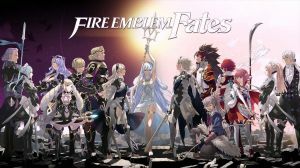 In this 14th main game of the distinguished Fire Emblem series, players will have to tackle an overaching storyline between the warring nations of Hoshido and Nohr. The main hero of the game, called "avatar" can be customized by the player and will have to decide whether they'll fight for their birthplace, the kingdom of Hoshido (Birthright) or fight with their adoptive home, Nohr (Conquest). In Revelation, the avatar will take a neutral stance and rally both kingdoms against the real mastermind pulling the strings of war. Welcome to Supercheat's unofficial guide to this epic, tactical strategy RPG by Intelligent Systems and Nintendo. Please use the menu on the right to navigate. For your convenience, we will be featuring all three storylines in a single, massive guide.